Step 1: In a skillet, brown the bread crumbs in 3 tablespoons butter. Place half the apples in a greased 8-inch square baking dish. Combine the brown sugar and nutmeg; sprinkle half over apples. Top with half the bread crumbs and dot with half of the remaining butter. Place the cranberries on top. Step 2: Layer with remaining apples, brown sugar mixture, bread crumbs, and butter. Cover and bake at 350 degrees F for 45 minutes. Uncover and bake 15-20 minutes more or until fruit is tender. Step 3: For lemon sauce, combine sugar, cornstarch, and salt in a saucepan; add water and lemon peel. Bring to a boil; cook 2 minutes or until thick. Remove from the heat; stir in lemon juice and butter until melted. 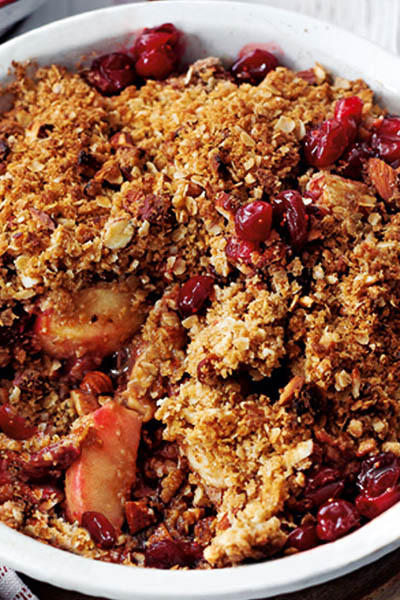 Serve over warm Cranberry Betty.